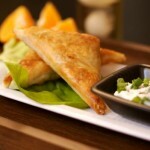 Making samosas with phyllo dough may be a clash of two cultures, but I never worry about that. 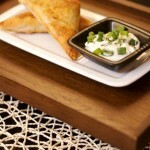 Phyllo makes making them so simple you are willing to make them for dinner or lunch at any time. 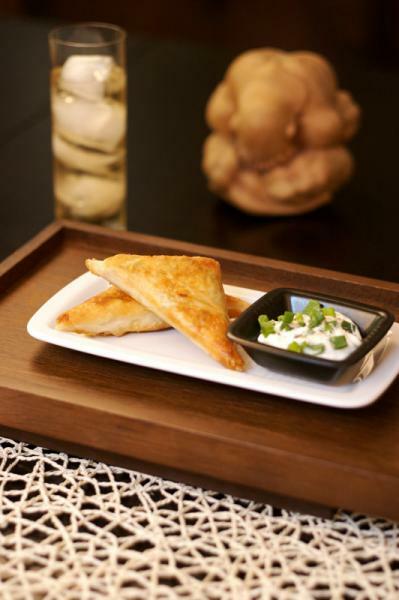 Serve these with a light cucumber raita as a dipping sauce and you’re all set. 1. Heat the oil in a large skillet on medium heat. Add the cumin and mustard seeds – use a lid or spatter guard or a piece of tin foil on top because the seeds will pop when heated. As soon as they do, add the meat, onion, potatoes, sweet potatoes and raise the heat to medium-high and saute for 7 to 10 minutes (or until the veggies begin to brown and soften). Add the garlic, ginger, coriander, turmeric, cayenne, salt, and lemon juice and saute for another 10 – 15 minutes, until the potatoes are softened. 2. Add the frozen peas. Let them defrost and cook through and then give everything a good stir to combine. Set aside and allow to cool enough to handle before assembling. 3. Once you remove the phyllo dough from its box package, keep it moist by laying a damp kitchen towel over the roll while you work with it. 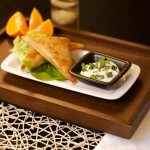 Take one sheet of phyllo and lay it flat and brush olive oil over the surface. Place another sheet over the first one and repeat. Repeat a third time. 4. Slice the layered phyllo sheets into four columns. 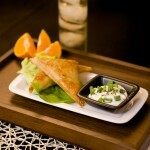 Place a spoonful of the filling on the bottom edge of one column, and fold the phyllo dough in triangles like a flag. If the filling oozes out, just tuck it in with your fingers and keep rolling. 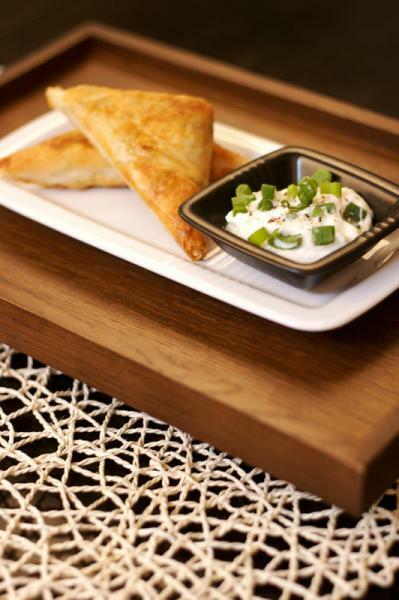 Repeat with the phyllo dough until you run out of filling. 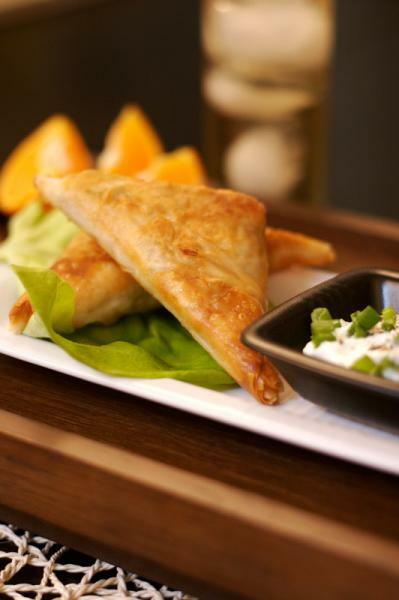 Place the samosas on a cookie sheet and freeze until ready to cook. 5. 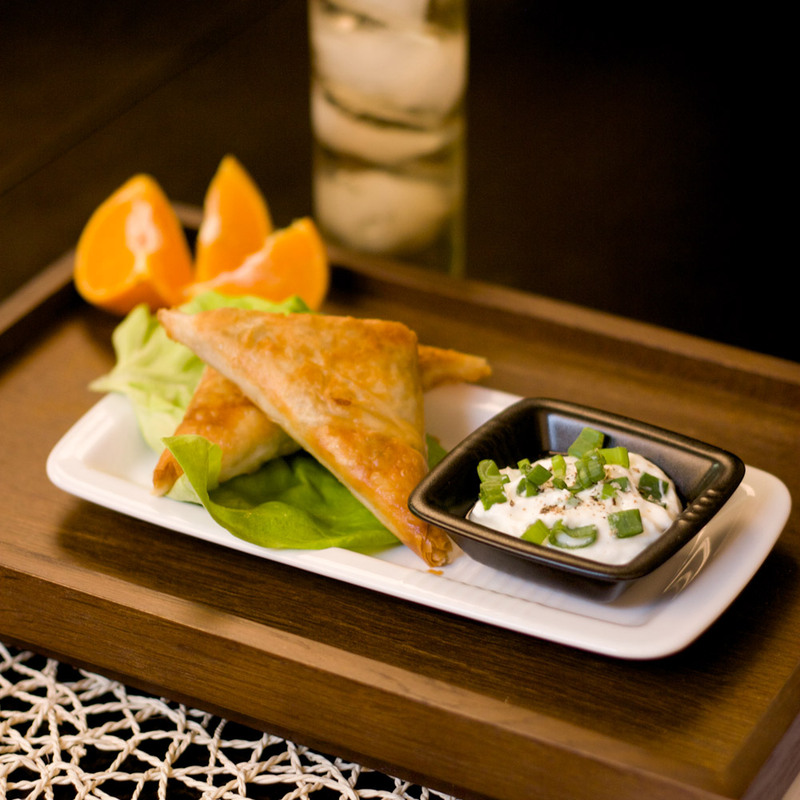 Heat ¼ cup of oil in a large frying pan over medium heat until it bubbles when a corner of one of the samosas is dipped into it. Shallow fry a few at a time, turning after a few minutes and removing from oil when browned and cooked through.